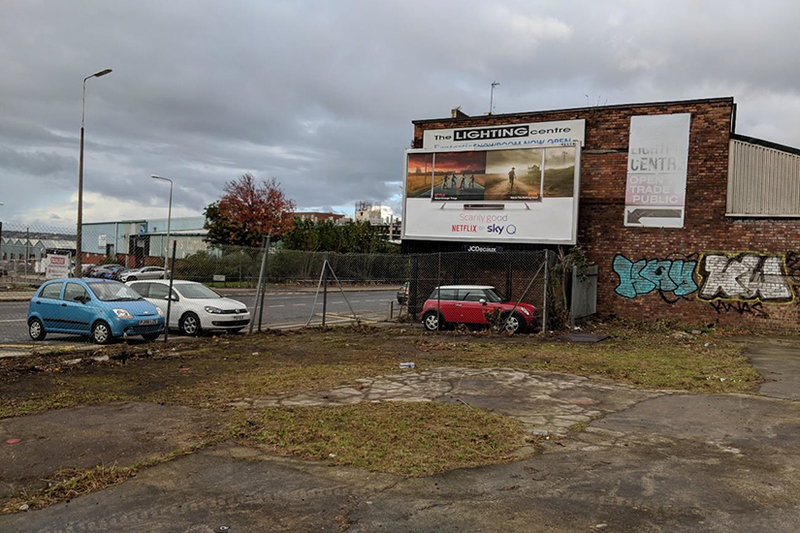 Plans to transform a derelict patch of wasteland on the edge of Liverpool’s Baltic Triangle have been revealed. Great George Street Developments, the consortium which acquired the failed New Chinatown scheme last year, is proposing a variety of community and public uses for the site. The application, which has been submitted to Liverpool City Council by Unit3 Design Studio on behalf of Great George Street Developments, chiefly concerns the creation of temporary structures behind and to the side of The Wedding House on St James Street. The local authority is already determining an application from Great George Street for 631 homes, 40,785 sq ft of shops, restaurants and bars, as well as 76,400 sq ft of office space, for the site formerly known as New Chinatown. 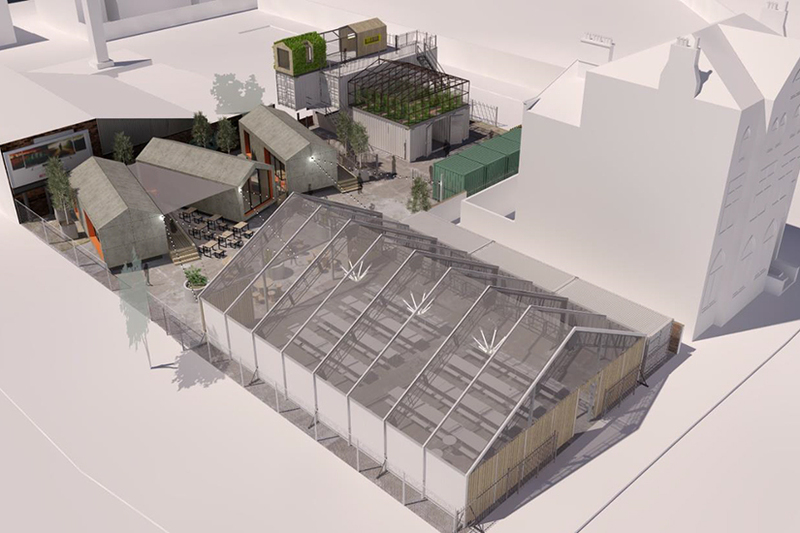 The intention of these new proposals is for a small community focussed events space known as ‘The Baltic Farm’ to provide a ‘meanwhile use’ for three years until the larger housing and commercial development requires the derelict plot of land. If approved by the council, The Baltic Farm would include three “key areas”. A large covered events marquee which would play host to some of the larger community happenings such as markets, food fairs, cook-offs and workshops. It is also envisaged that the space would be used by local schools, charities and independent businesses including The Wedding House. The marquee itself would be a simple steel framed structure with a translucent roof covering allowing light into the space. Five large stacked shipping containers and four smaller retail containers. The 40ft stacked shipping containers would contain offices/research facilities for Farm Urban Liverpool and would be used as business accommodation and workshops that research, investigate and test organic food production techniques. The offices and workshops would span three floors with internal spaces created on the ground and first floor, and greenhouses/terraces on the first and second floor. The greenhouses would be linked to the internal spaces on each level and would provide a fully operational commercial hydroponics system for visitors to experience. Opposite the stacked containers would be four 10ft steel containers for temporary retail use – these would be used to sell products created on site or by local producers. Image taken from planning application showing how the site currently looks. An anchor point on the corner of the ‘L’ shaped site consisting of an outdoor area connecting both the events space and makers space together. A series of three custom built timber pods containing commercial food, drink and retail offerings would be provided along the northern boundary.